We measured longitudinal growth in conch cross‐sections of 177 Devonian to Jurassic ammonoid species to test whether conch ontogenetic development parallels the iterative evolution of pachyconic or globular conch shapes. Ontogenetic trajectories of two cardinal conch parameters, conch width index and umbilical width index, show a few common recurring ontogenetic pathways in terms of the number of ontogenetic phases. The most common, with three phases in the conch width index (decrease–increase–decrease) and umbilical width index (increase–decrease–increase), is termed here C‐mode ontogeny (after the Carboniferous genus Cravenoceras). Many of the studied globular Palaeozoic and Triassic species (of the latter, particularly the arcestid ammonoids) share principal patterns in the triphasic C‐mode conch ontogeny in closely related groups but also between unrelated groups as well. The repetition of conch growth patterns is an example of convergent evolution of the entire life history of globular ammonoids. The studied Jurassic globular shaped ammonoids deviate from the growth patterns seen in earlier groups showing less pronounced ontogenetic trajectories with nearly isometric or weakly asymmetric growth without distinct phases. This trajectory is termed here M‐mode ontogeny (after the Jurassic genus Macrocephalites). 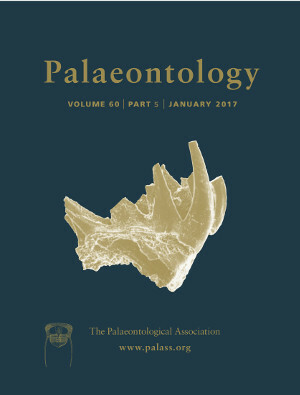 No major change in the ontogenetic modes of pachyconic and globular ammonoids occurred moving from the Palaeozoic into the Mesozoic; the survivors of the end‐Permian extinction event iteratively developed conch ontogenies similar to those of Palaeozoic forms. In contrast, the Triassic–Jurassic boundary marks the major event with the evolution of some cardinal conch parameters relating to globular ammonoid ontogeny.